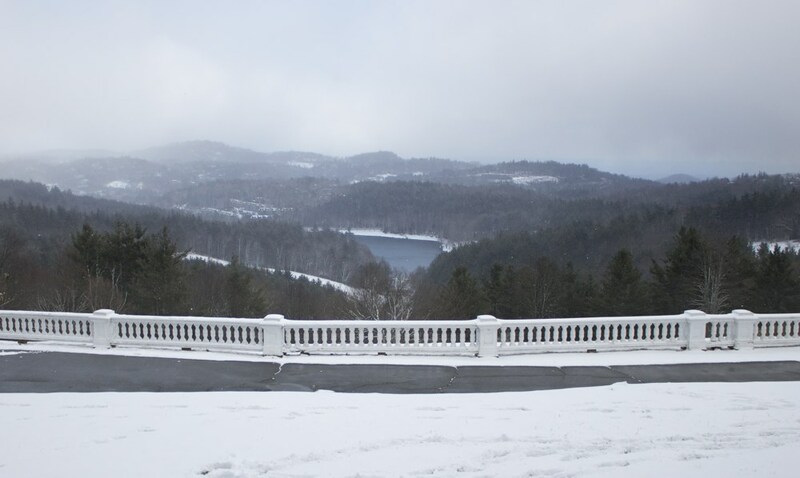 So, I love, love, love Blowing Rock, NC but we have made some interesting memories there over the years. 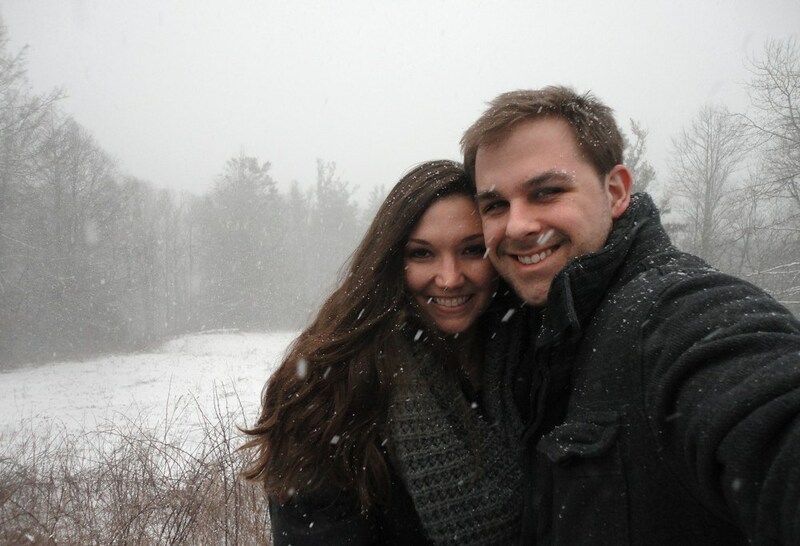 Jeremy and I decided to go to Blowing Rock for Valentine’s Day a couple of years ago. The weather report said to expect snow flurries so we excitedly packed our gloves, boots, and heavy coats. Giddy like kids going to Disneyland, we left our house and began the five-hour drive to the mountains. Excited for snow because it’s so rare in Charleston, I checked the weather a few times on our drive up. 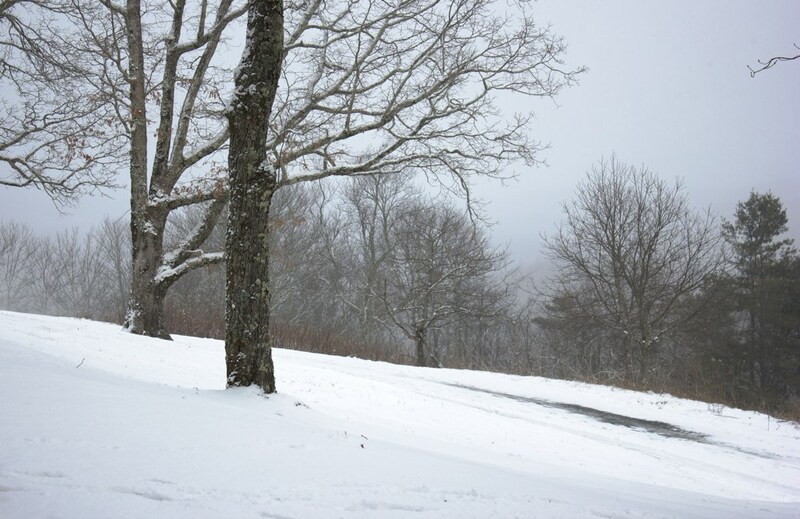 The weather began to gradually change: from flurries, to heavy snow, to a Winter Weather Advisory. By the time the advisory showed up, we were already at the base of the mountain and there was no way we were going to turn around to go back home. Around the time we got to our hotel the flurries began. We were so excited, we just wanted to be out in it so we decided to take the five-minute drive to Main Street in Blowing Rock and get a cup of coffee since the weather wasn’t bad at all. 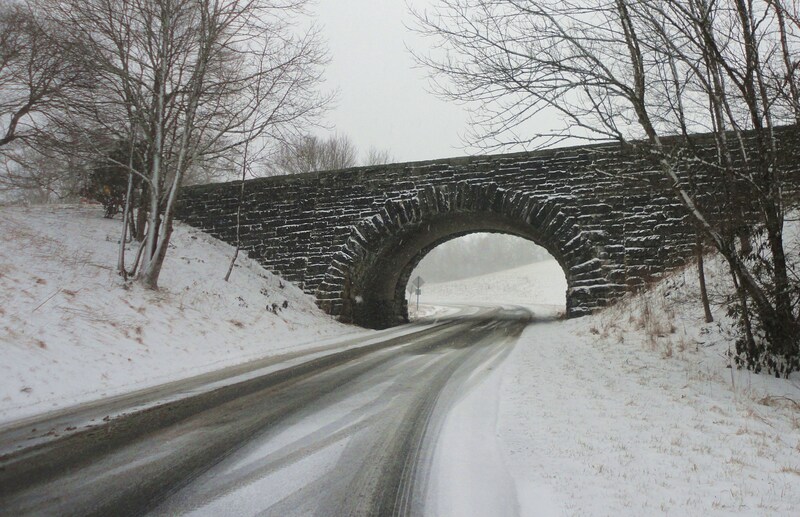 With our coffee in hand we decided to head up to the Blue Ridge Parkway. We parked at one of the viewing areas and just watched. 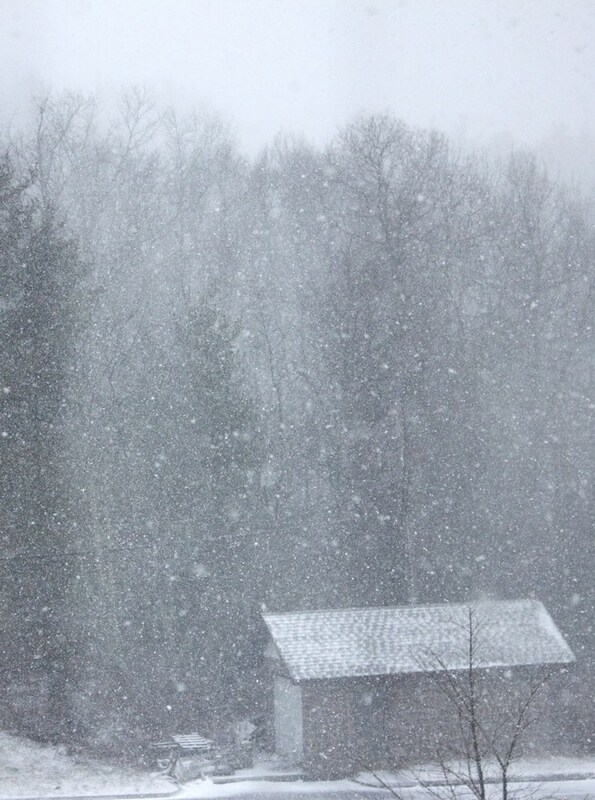 It was so beautiful to watch the snow falling on the mountains. Everything was so still, and quiet; just peaceful. It was tempting to get out of the car but the icy wind quickly changed my mind. 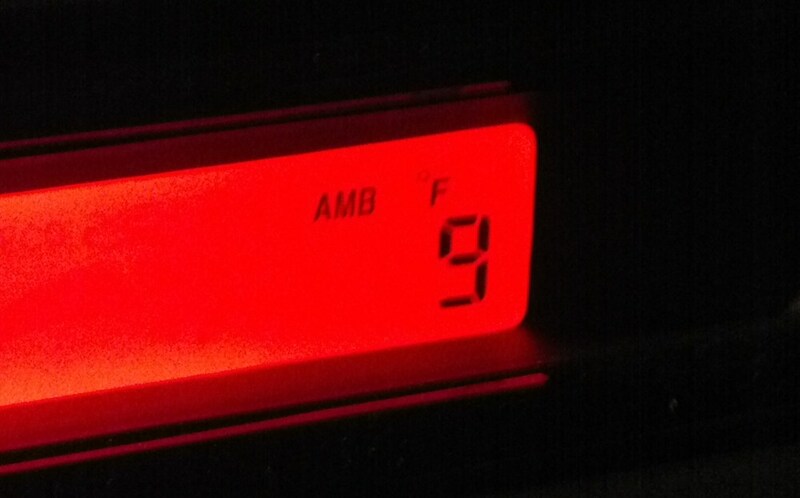 We watched the temperature steadily drop on the car thermometer. What started out at 30 degrees was now 9. The snow began to pick up and we decided we should probably go straight back to the hotel. We didn’t have four wheel drive or chains for our tires so we decided it was better to be safe than sorry. We joined all of the other cars on the main road that were going about 15 miles per hour. Out of nowhere, we hit a patch of black ice and the car was uncontrollable. Unable to stop or turn, we drove directly into the side of the mountain. We were both fine, but the car wasn’t. For fear of the other cars sliding around the road, we carefully drove to the nearest parking lot which belonged to a real estate agency. The agent saw us out there and told us to come inside to get warm. It was already 5 o’clock and she said her husband was on his way to pick her up—he just happened to be a mechanic. With the sky spitting heavy snow and the temperature dropping by the minute, Jeremy and the mechanic were outside trying to pull the bumper out from beneath the car. 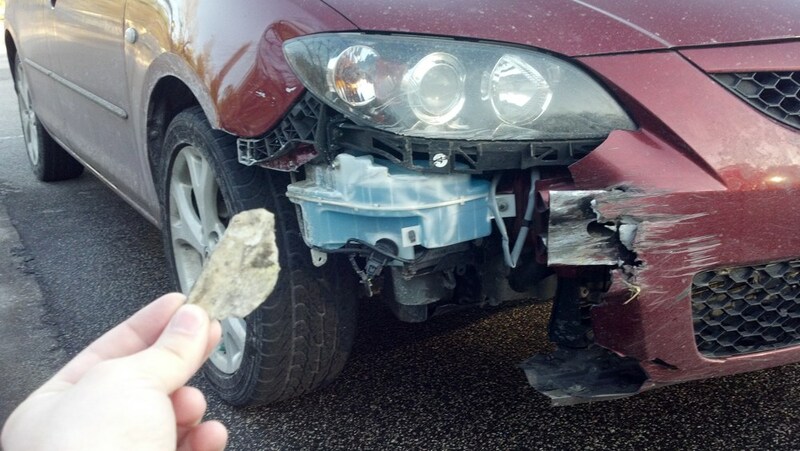 When they pulled the bumper out, a piece of the mountain came with it. (We keep it in our china cabinet.) The mechanic told us nothing was leaking and he thought the car was safe to drive. We thanked them profusely and then very timidly drove back to our hotel. When we got back we were cold and hungry. I asked the guy at the front desk which restaurants delivered and he said no one would deliver to the hotel, especially not in this weather. So Jeremy and I had to venture back out into it. Nothing else happened and I still love Blowing Rock but please, please if you go there in the winter don’t be dumb like us. Be prepared because the roads might be hazardous. We are thankful to have driven into a mountain rather than off of one. The situation could have been vastly worse.